Oh, good grief. 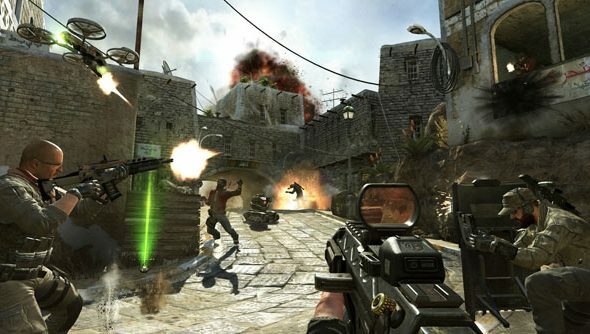 If you’re in the US and preloaded your copy of Black Ops 2 via Steam, you’ll likely be fragging away unaware of the farce other PC gamers have been subject to overnight. Those players – the same who’ve queued through the night to pick up a retail copy of the game – have reportedly thrust Black Ops 2’s second disc into their CD drives to find that it reads as something entirely different: EA’s Mass Effect 2. Related: Check the latest on the Call of Duty: Black Ops 4 release date. Redditors and Steam users have rightfully leapton the problem.We haven’t been able to verify the mix-up ourselves, but we’re working on it. It’s okay to laugh. While the second disc is necessary to complete installation, affected players can enter the serial number on the box into Steam’s product activation window to activate the game. But they’ll have to wait umpteen hours for the download to finish and do their best to avoid eye contact with their Friends list in the meantime. As for Activision and EA? I imagine both will be making noisy phone calls to a shared manufacturing plant this afternoon. We’ve reached out to Activision for comment. Have you been landed with a useless Mass Effect 2 install disc? Let us know in the comments.